For the ultimate in meta, read this book shaped like an iPad Air on an iPad Air. Many of us here at Cult of Mac would argue that the iPad is pretty much the pinnacle of design and form factor. Brian Solis, the author of a new book on design, agrees. That’s why he designed his book to be shaped like an iPad Air. 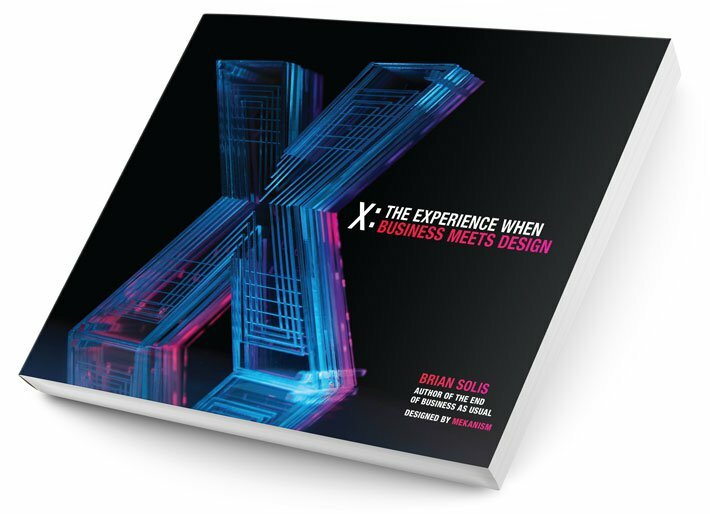 The book is called X: The Experience when Business Meets Design. It’s a bit of a clunky title, but it looks like a compelling treatise on user experience, user interface, and visual design. But Solis tells Laughing Squid that the book didn’t really start to gel until he decided to shape it like an iPad Air. I had to re-learn how to write sentences and they’re grouped in blocks to fit attention windows before white space or imagery is introduced. This is done to promote learning and page-turning. I also translated paragraphs into visuals that mimic what you would see in popular apps. You swear you can swipe and pinch/zoom as you’re reading it. The whole production required a new process for printing. …If I could do this for a book, anyone can do anything. It’s a physical example of what happens when you question everything and re-imagine what else can re re-invented for these crazy times. If that sounds interesting to you, you can purchase the book from Amazon here. The optimal way to read it? Get the Kindle e-version, then read it on your iPad Air.